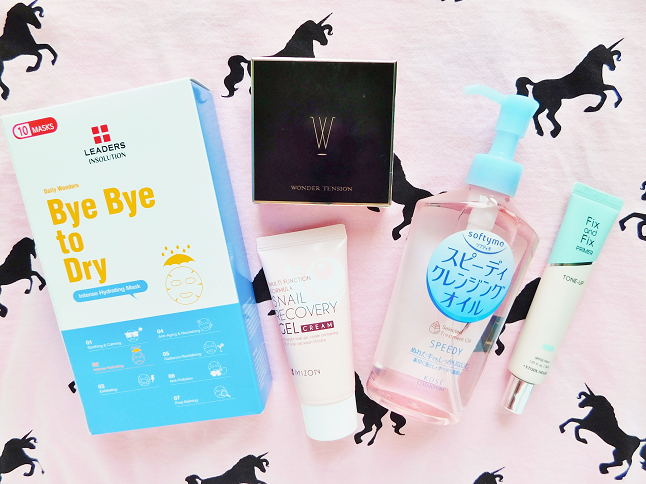 MooeyAndFriends: Korean Beauty Haul ♥ Mizon, A'pieu, Leaders, Etc. I am always buying new beauty products so whenever I have enough collected I like to share my recent purchases in a haul. This time I decided to include my new makeup purchases as well. Nearly all the products are Korean beauty products but one of them is a Japanese skincare product. Anyways, enough of the chit-chat let's start the haul! While I was at Marshalls one day I saw that they had a box of Leaders masks. I love Leaders masks because the quality of the masks is amazing but they can be pricey so when I saw that this box only cost $10 I took advantage of this deal. 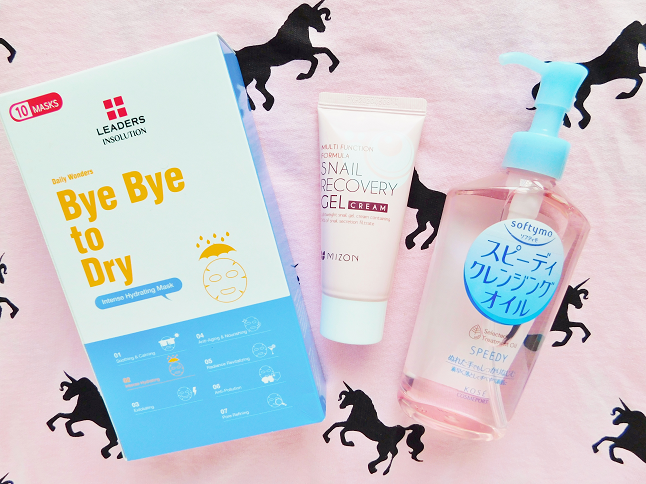 I'm not a fan of the sheet of the mask but the essence is so moisturizing and refreshing, bye bye to dry for sure! I was running low on my cream so I bought the Mizon Snail Gel Cream which has been on my skincare wishlist for a while. The tube is really small so I will be using this pretty fast (it will probably last me a month and a half) but it was really affordable. 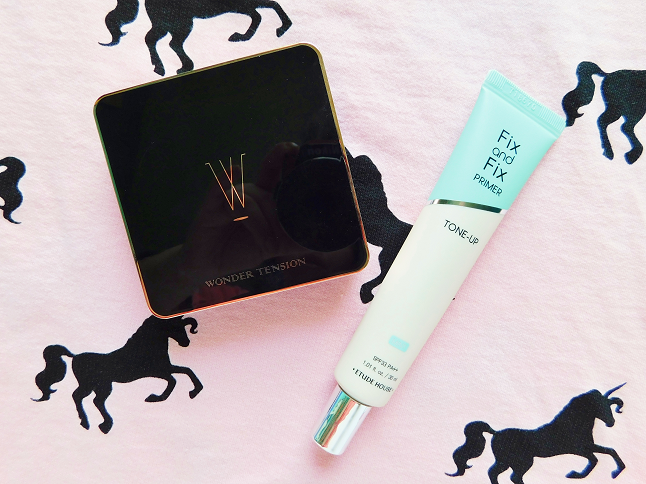 I bought this cream because of the anti-wrinkle benefits and most reviews on this product were positive. Over the weekend I finished my Innisfree Bija Trouble Cleansing Gel so I log onto Amazon and bought the Kose Cleansing Oil. I was going to buy The Face Shop Bright Cleansing Oil because it's one of the top cleansing oils in Korea but I saw this Kose cleansing oil in the recommendations section and decided to buy instead because it was cheaper and just as popular as The Face Shop one. There are a couple of different finishes, moist (gold), perfect cover (rose gold) and matte (sliver). I went with the moist version because I love that dewy look. This is the first cushion I have bought in a really long time! I bought this particular cushion pact based on the sleek square packaging.There are many round cushions but only a few square cushions. I do plan on writing a review on this cushion once I've used it enough times. I've always been interested in using colored primers because I struggle with redness on my cheeks. Etude House released a series of colored primers not too long ago and they caught my attention because they brighten, wrinkle care, and contain UV protection.